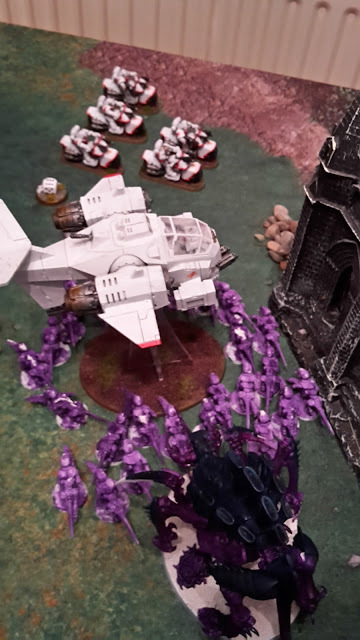 This week's battle report sees my White Scars take on Stu's Tyranids in a 2000 pts maelstrom of war mission. 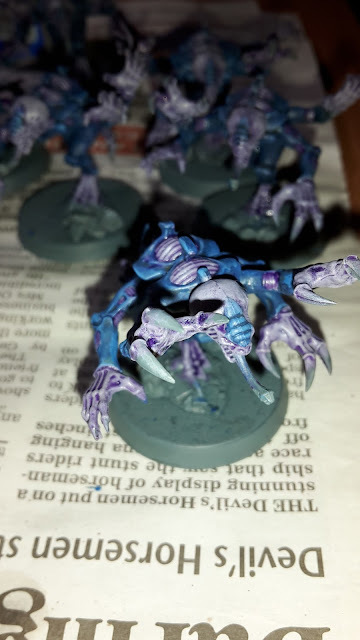 This game was played a while back before the release of the new Tyranid codex, so won't feature any of the new rules. Khan was my warlord and took the Tenacious Survivor warlord trait. 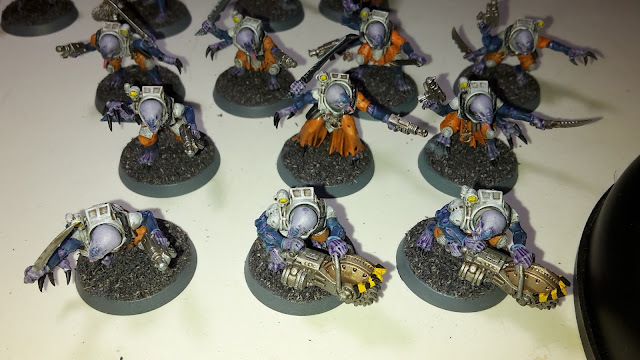 Over the weekend, I managed to get some work done on my Genestealer Cult Aberrants. 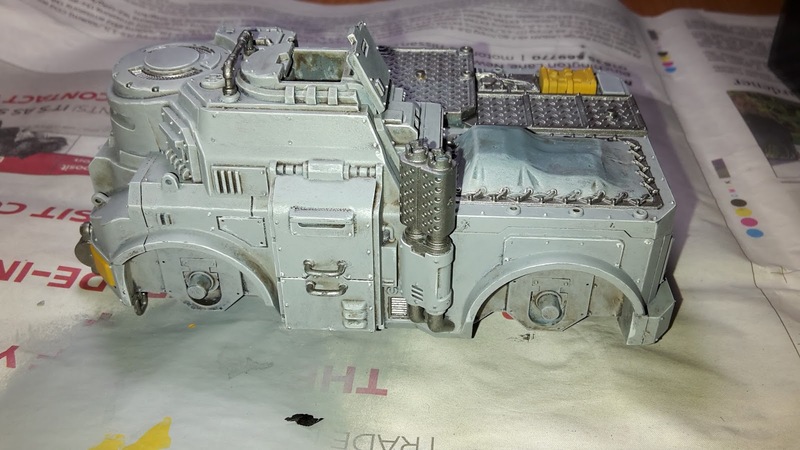 I had 8 of these models from two of the Deathwatch Overkill boxed sets. I am currently in the process of finishing these models. All they need is a purple wash and some final highlights. 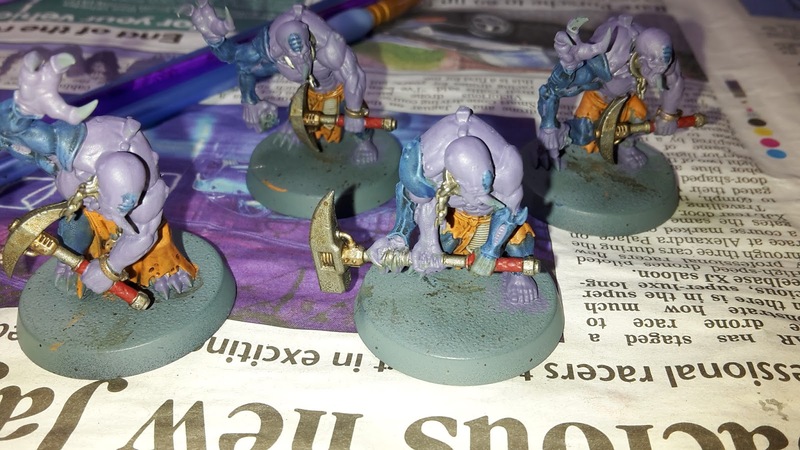 I hope to get them finished this week. This week, I managed to complete my first unit of Purestrain Genestealers for my Genestealers Cult army. I painted these up in the "classic" style to match my other Genestealer Cult units. 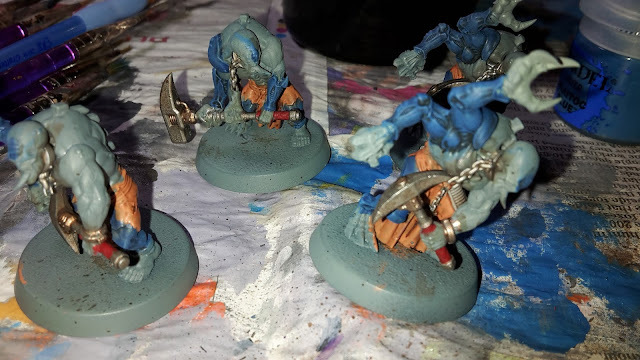 I also decided to add to the bases from my current ones. 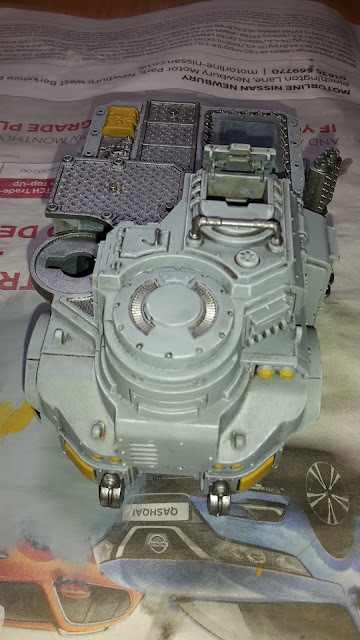 I added some rubble to the base, then painted it Standard Mechanicus Grey, then a highlight of Pallid Wych Flesh. 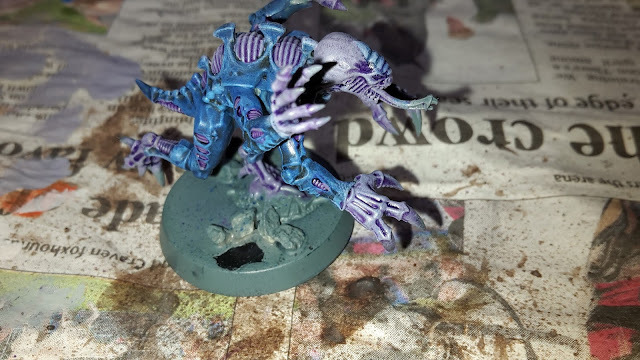 I also added some static flock and grass to the model. 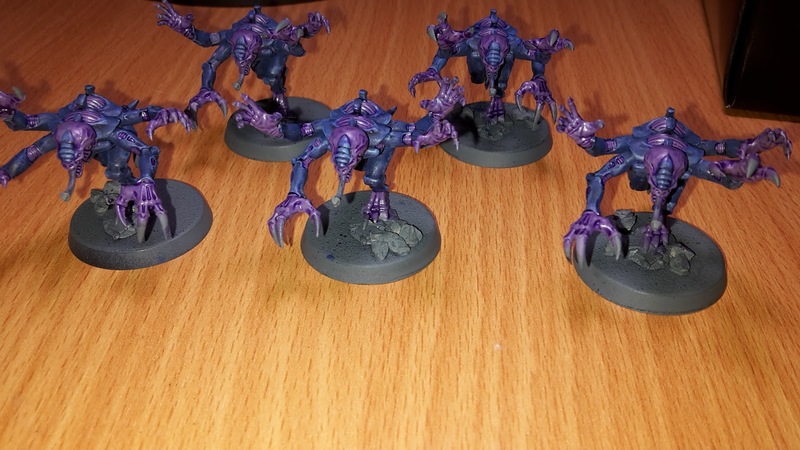 This week's Hobby Sunday features some work I have been doing on my Purestrain Genestealers. 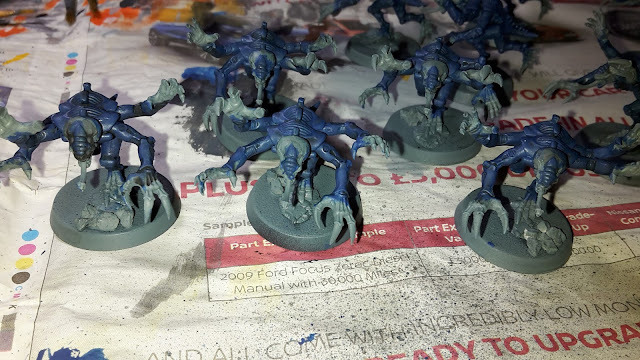 I've not got as much done this week on them or had much on the blog this week. 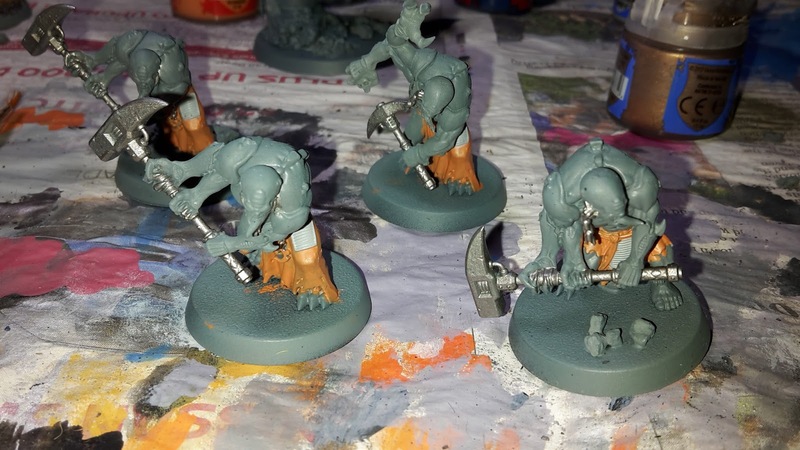 I've been enjoying Nurgle's blessings this week, which has helped to reduce my hobby efforts. 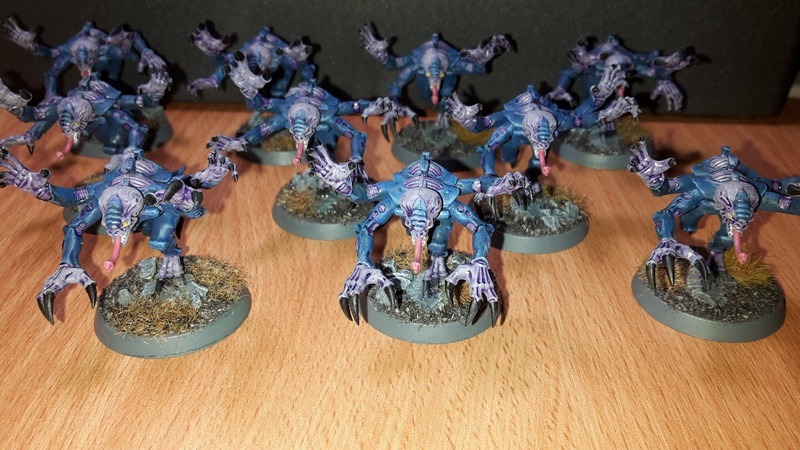 Purestrain Genestealers are a serious combat threat in 8th edition, so want to get a few of these units painted up. I've been working on 10 of them, using a colour scheme similar to my hybrids. 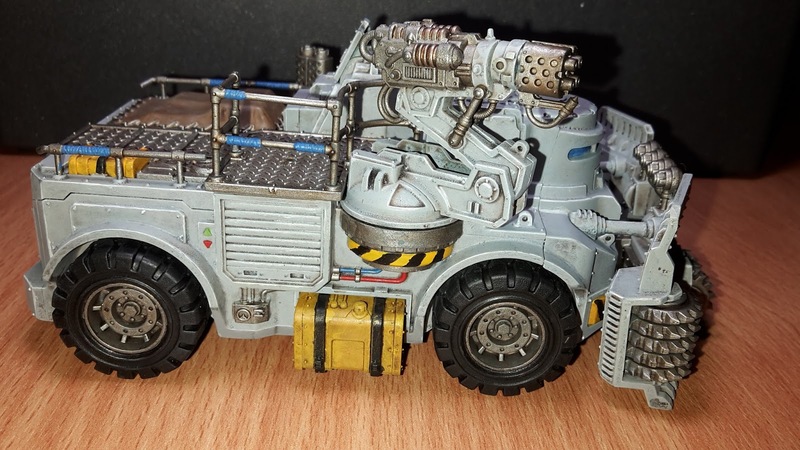 This week's Hobby Sunday I will be showcasing my completed Goliath Rockgrinder and some Neophyte Hybrids that I have been working on the last couple of weeks. 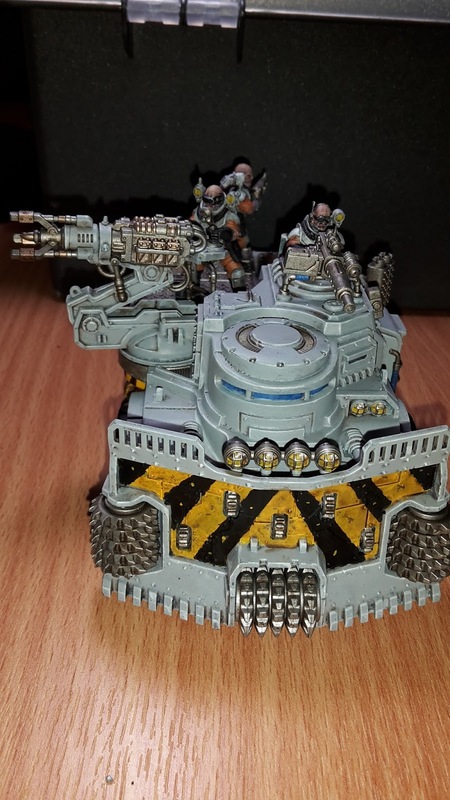 I completed the crew of the Goliath this week, so the Rockgrinder is now finished. 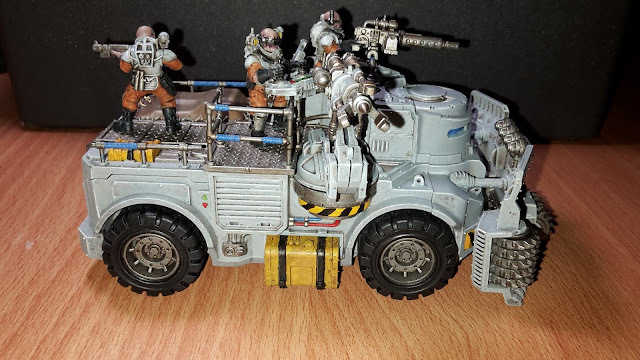 Here are some shots of the crew and completed vehicle. This week's battle report sees my White Scars take on Rhys' Orks in a 2000 pts Maelstrom of war mission. This was the first time I had taken on Orks in 8th edition, so was interested to see how they would fare against the White Scars. 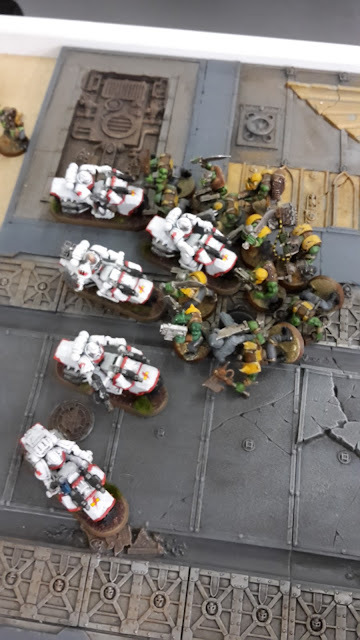 This game was played at Battle Bunker and we were playing Tactical Escalation (number of cards equal to turn number) with Vanguard Strike deployment. 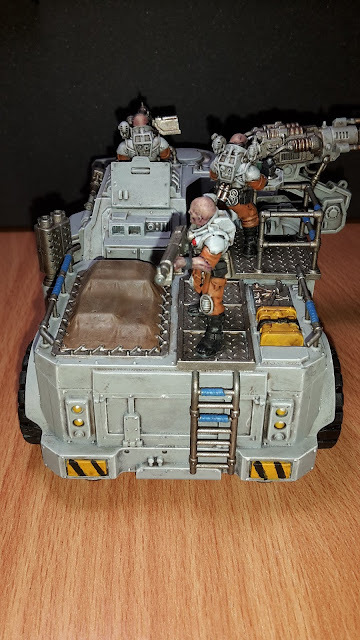 A bit of a different White Scars army to try out, not so many Bikers this time round. 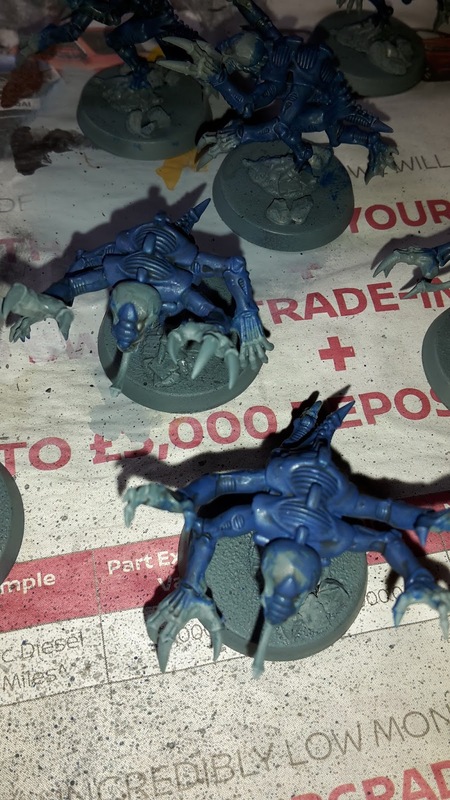 I decided to take a unit of Devastators with Heavy Bolters after seeing how well they have done in my regular opponent Maurice's Crimson Fists army. I also extended the Vanguard Veterans to 10 models to give me a bit more combat punch and decided to try out the Stormtalon as well. My warlord was Khan and he took the Tenacious Survivor warlord trait (I don't think he could take the White Scars trait as I was using Index Khan). Today's hobby Sunday features the current work in progress on my Goliath Rockgrinder for my Genestealer Cults army. 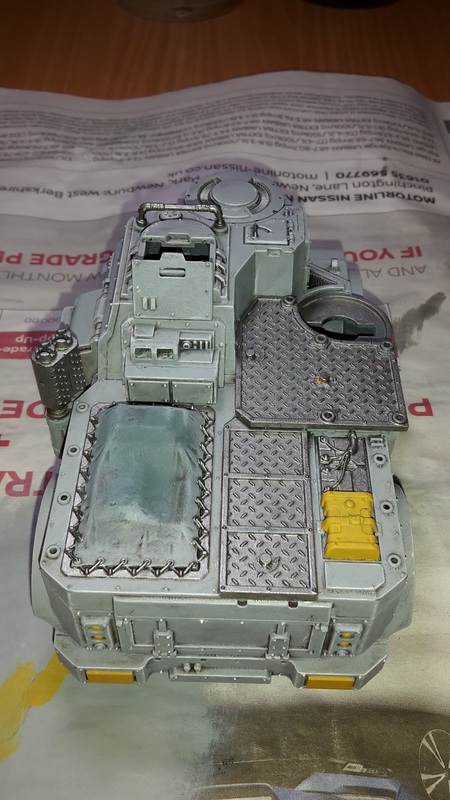 I decided that I would also magnetise the crew of the Rockgrinder to make them easier to transport and have less chance of them breaking off during transit. 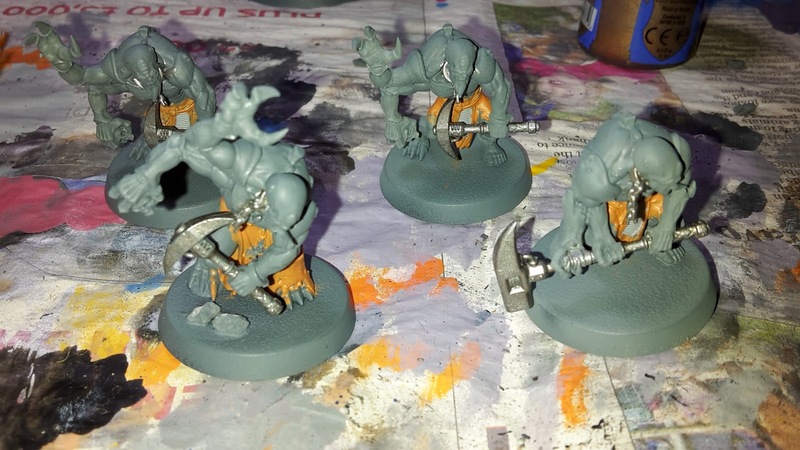 I have completed the painting of the Rockgrinder and just need to work on the crew. Here are some WIP shots and the completed vehicle. 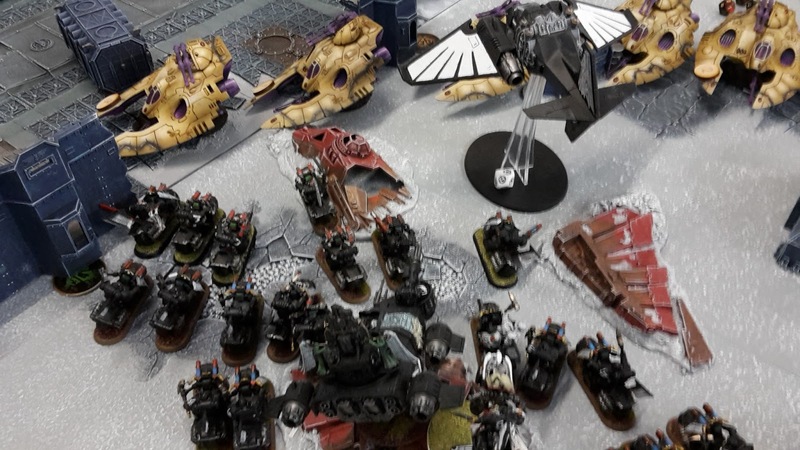 Today's battle report features my Ravenwing taking on Adam's Aeldari force in a 2000 pts Eternal War mission. 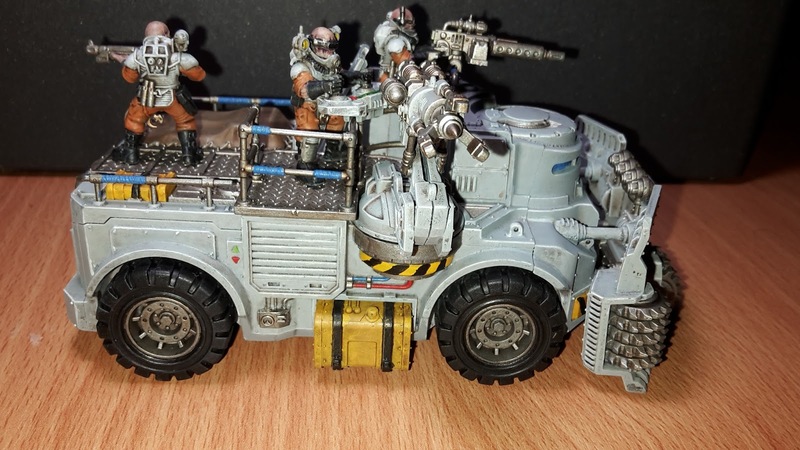 This game was fought at a Bunker War tournament at Battle Bunker in Sunderland. This game was Big Guns Never Tire using Vanguard Strike Deployment. The Librarian took Mind Worm and Aversion. 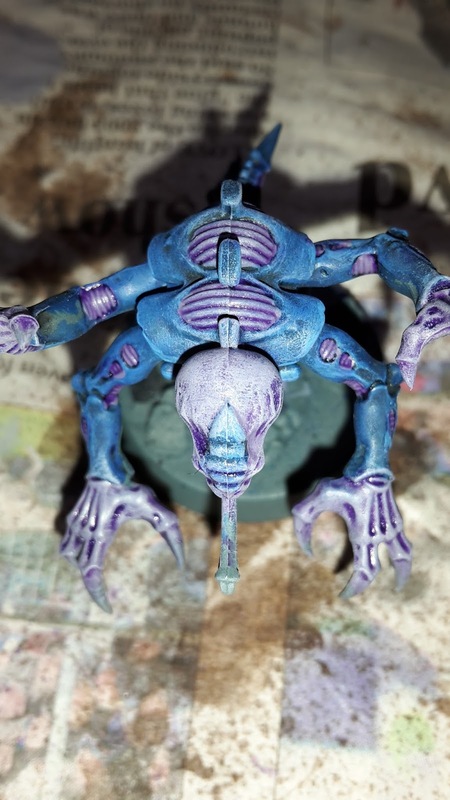 Sammael was my warlord and took Tenacious Survivor. Today I have some photos of all the units that I have painted so far for my Genestealer Cults army. 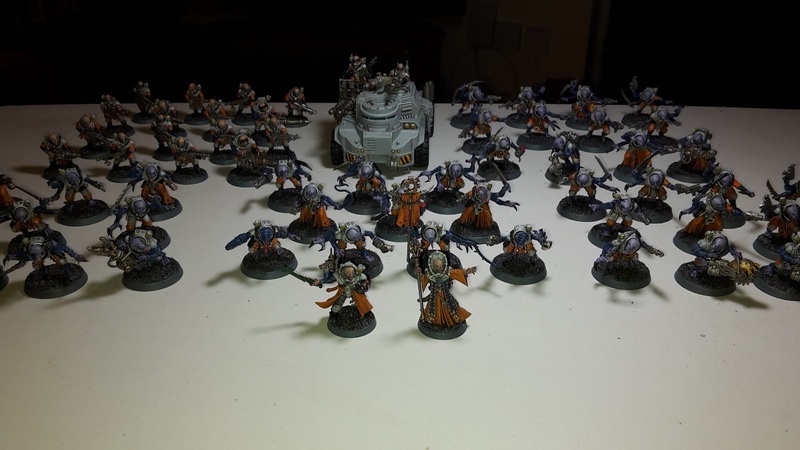 I have been slowly working away at amassing my Cult force and getting as much painted as possible to try and field the army. So far, I have completed 5 units of infantry, one Goliath Truck and two characters. 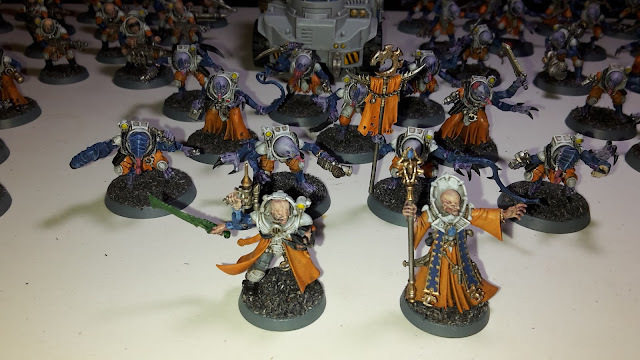 Here are some photos of the force.